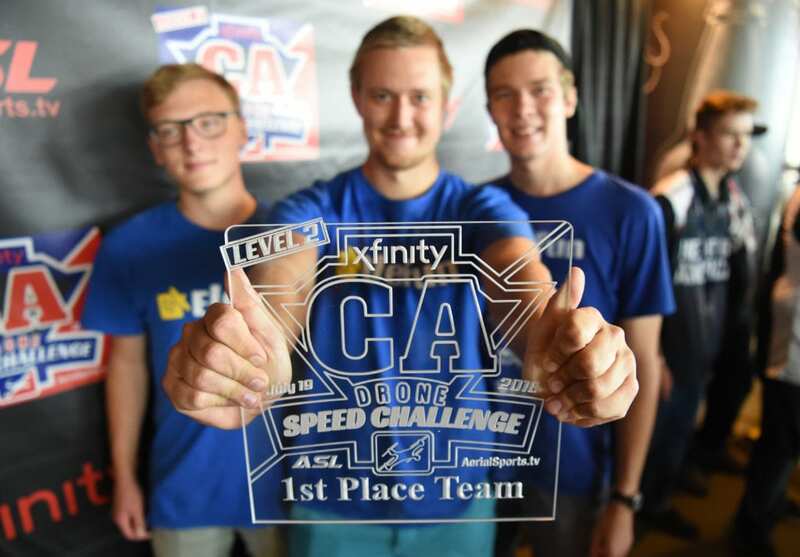 In a celebration of speed and to promote Gigabit Internet service for homes and businesses throughout Greater Sacramento and its entire California region, Comcast partnered with the Aerial Sports League to host The Xfinity California Drone Speed Challenge – Level 2 at Golden 1 Center in Sacramento last week. 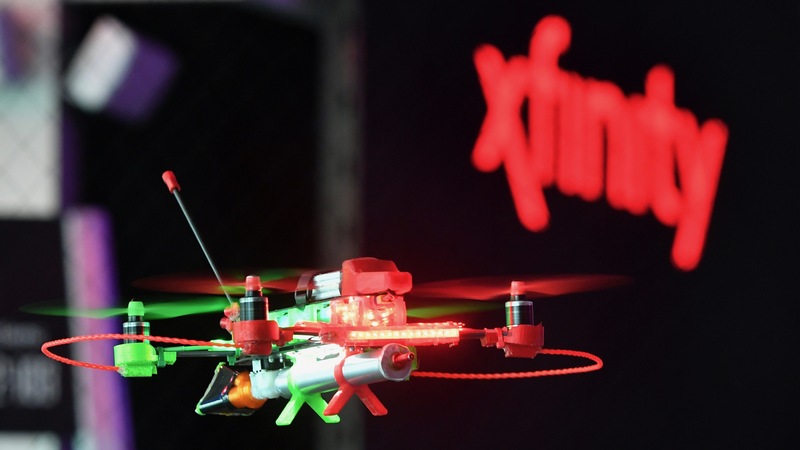 Drone pilot team finalists were selected based on the results of a multi-week, eSports-style online competition that took place on VelociDrone, a drone racing simulator. The winning teams – which came from the U.S., Canada, Norway and Sweden — then moved on to compete live for the championship at Golden 1 Center. The venue, considered one of the world’s most connected indoor sports and entertainment arenas, is powered by two, 100 gigabit Ethernet Internet circuits from Comcast Business. 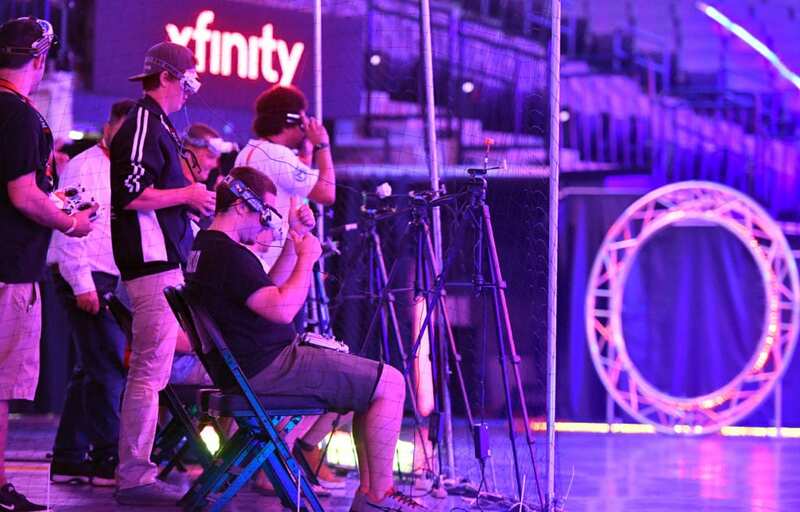 A record-breaking $25,000 prize purse and ultimate bragging rights were up for grabs as eight pilot teams and 24 pilots from around the world competed in California’s biggest drone racing event. 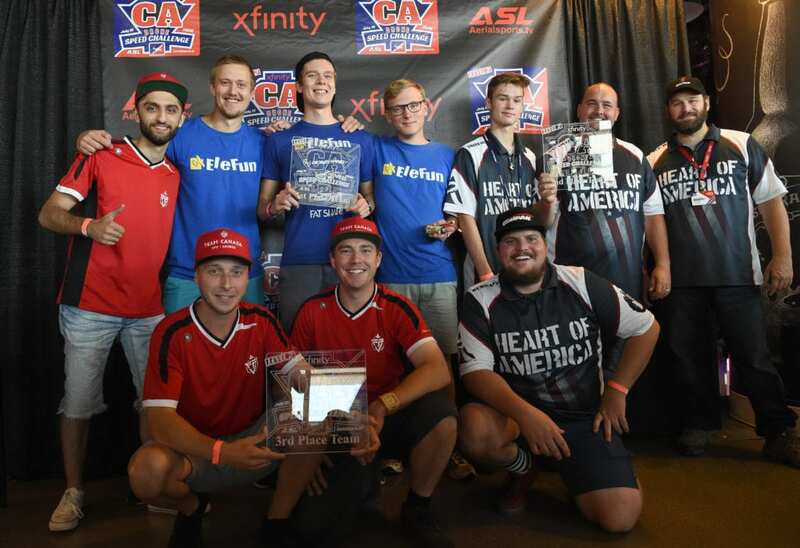 And the winners were… Team “Elefun” from Norway and Sweden came in 1st place, Team Heart of America won 2nd place and Team Canada placed 3rd, rounding out a truly global trophy podium. 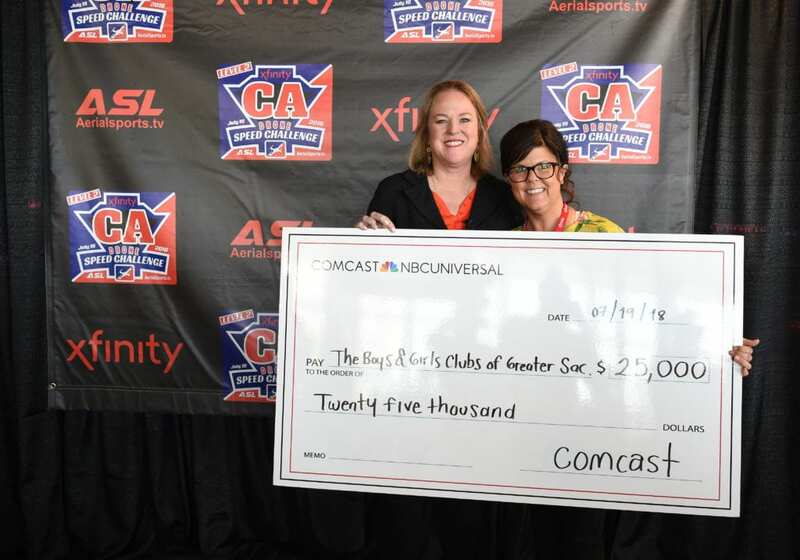 Comcast also contributed another $25,000 to The Boys & Girls Clubs of Greater Sacramento, in the name of the winning team. The Club’s CEO, Kimberly Key, was on hand to receive the Comcast donation. The event featured a new team-based drone endurance format, which forced the pilots to be at their best while facing entirely new challenges. Unlike traditional drone races that end in a blink of the eye, the endurance races lasted for 20 minutes, requiring pilots and pit crews to keep flying non-stop to reign supreme. 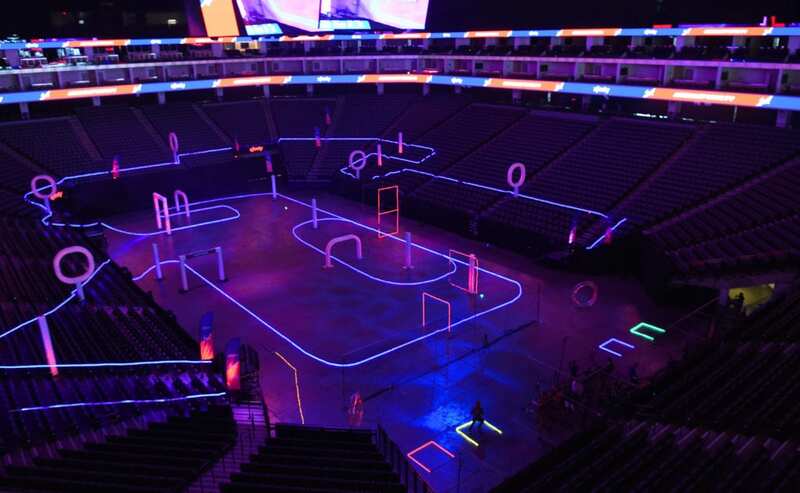 The live event featured a futuristic VIP experience, with a DJ, drone combat demonstrations and a “Future Sports Arcade,” featuring hands-on virtual reality (VR) games, a VR “goggle bar,” simulators and drone training, all while guests were surrounded by thrilling, high-speed drone races in the high-tech Golden 1 arena. Comcast’s investment in The Boys & Girls Clubs of Greater Sacramento will provide continued support for My.Future, an innovative technology platform that is being rolled out to Boys & Girls Clubs nationwide. Accessible to more than 4 million youth, the interactive digital platform enables kids to interact with programs ranging from digital literacy essentials to visual arts and game design, and teaches them about the limitless possibilities technology can unleash in today’s digital world. Last year, in Clubs across the nation, Comcast introduced the next generation of My.Future that has evolved into a dynamic user-led experience that youth can use both inside and outside Club walls. Kids can learn how to code in less than an hour and create their own animated videos or websites, among many other activities. So whether you are a 12-year-old boy interested in learning to record music, or a 16-year-old girl who loves building things and wants to learn more about robotics, My.Future has something for every child. Attendees also had an opportunity to learn about and experience all the latest products from Comcast, including Xfinity Gigabit Internet, the X1 video platform, xFi, Xfinity Home and Xfinity Mobile. Gigabit internet speeds are available to Comcast customers throughout California and include access to nearly 19 million WiFi hotspots across the country. Combined with the company’s Xfinity xFi platform, customers have access to the fastest speeds, the best coverage, and ultimate Wi-Fi control in their homes. Visit Xfinity.com for more information.